Are you searching for a reliable crossover, SUV, or pickup truck in the Edmonton, AB area? If so, then you should consider exploring the excellent used GMC vehicles available in the Go Auto Express inventory today! GMC features some of the most reliable crossovers, SUVs, and pickup trucks available in the used vehicle marketplace. GMC has been manufacturing vehicles for over 100 years, making it one of the longest running automotive manufacturers around. A big reason why GMC has been in business for so many years is the quality of the vehicles they manufacture. Over the more recent years, GMC has manufactured some of the best crossovers, SUVs, and trucks on the market. Let’s take a closer look at some of the best aspects that pre-owned GMC vehicles have to offer! If you are interested in exploring the Go Auto Express used GMC inventory, then you should contact the dealership’s staff today! Our team is happy to answer any questions that you might have about our GMC vehicle inventory. 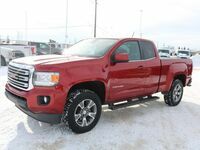 Visit our dealership in Edmonton, AB to explore our pre-owned GMC vehicles today!